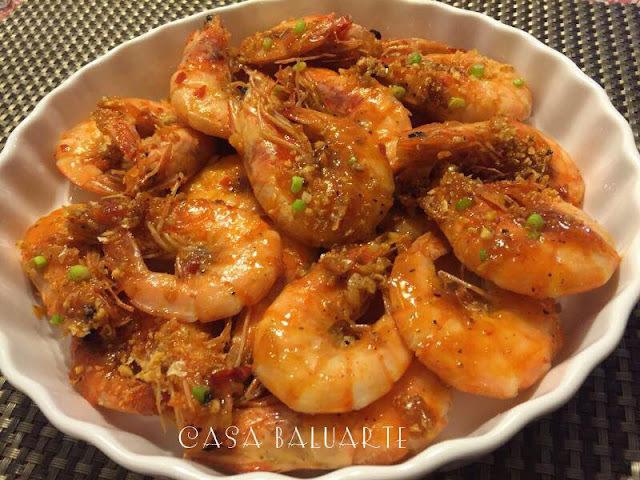 Check out this new recipe added to Casa Baluarte's collection. 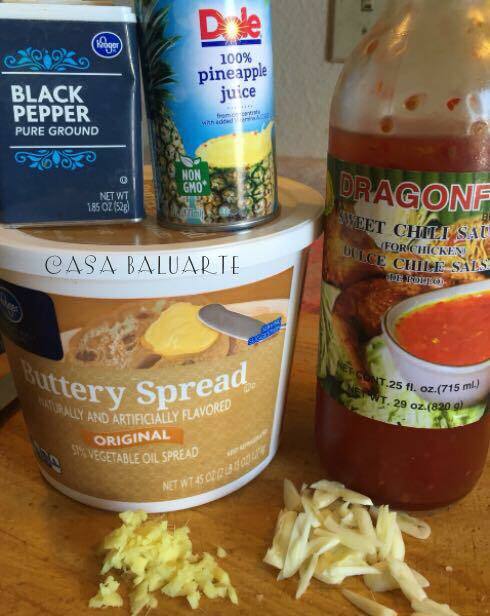 This recipe was inspired from one of Casa Baluarte Filipino Recipes Facebook follower. Give it a try. Simple to make and for sure you will enjoy it too. Melt margarine/butter in a wide pan. Brown garlic in butter in medium heat. Remove garlic and set aside. Using the same butter from the browned garlic, sauté minced ginger till caramelized. Add shrimp and mix well. Add pineapple juice or sprite to the shrimp. Season with salt and ground pepper. Bring to high heat while stirring every few minutes. Once the pineapple juice thickens, add the Chile sauce. Reduce heat to medium low. Keep on stirring to allow the Chile sauce to cover the shrimps. Remove from heat. Arrange in a serving platter. Top shrimp with the remaining Chile sauce mixture, browned garlic and green onion. 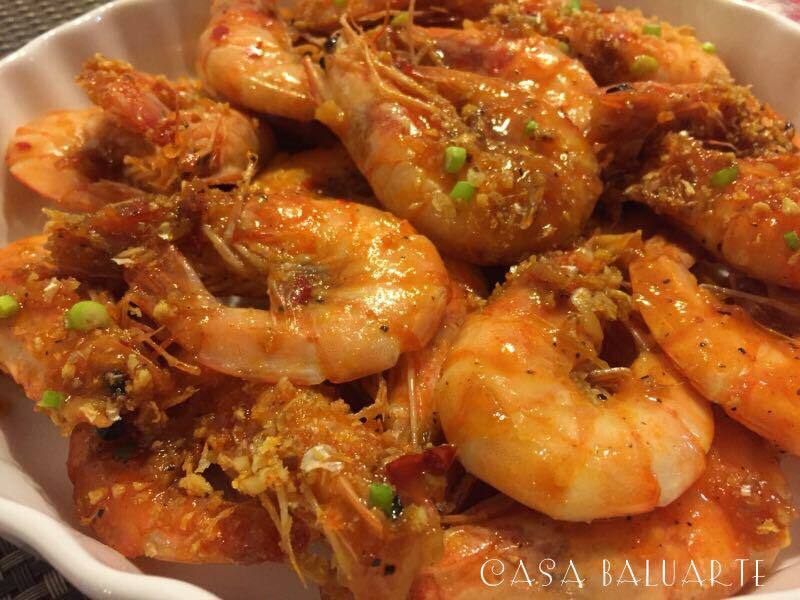 Special thank you to Mr. Villanueva Lara Jr. of Lipa, Batanggas for sharing your recipe to Casa Baluarte. I forgot to buy sprite so I used pineapple instead and it turned out pretty good. I also skipped on magic sarap as it's not available here in my local Asian grocery store.